Walk-In-Interview will be conducted for following purely project based temporary positions under UNDP sponsored project entitled "Undertaking a study to define the extent and intensity of habitat degradation, to identify the drivers of degradation and prepare a study proposal for developing model mitigation plan in alpine and sub-alpine areas in SECURE Himalaya project landscape of Uttarakhand" at Kosi-Katarmal (Almora) campus of the Institute. Candidate have appropriate qualifications in relevant subject/specialization with consistently good academic records and experience may appear for Walk-In-Interview on 8th February, 2019 (10:00 AM onwards). 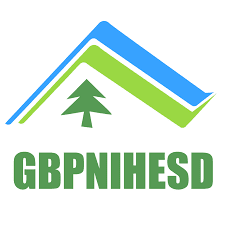 Desirous candidate may forward an advance copy of the application to the Administrative Officer by e-mail (os@gbpihed.nic.in) clearly mentioning the position applied for. Candidates appearing for Interview must bring all original as well as one set of photo copies of all certificates, testimonials, biodata, publications etc along with an application. No TA/DA will be paid to the candidates appearing for the Interview. The Institute reserves the right either to fill or not to fill the positions advertised. Relaxation for SC/ST/Women/PH and OBC as per Govt. of India norms. All rules of DST, MoEF&CC and /or Institute will apply. Experience of working in the hilly region of the Himalaya. Preference will be given to the candidates having work experience in the field of RS&GIS.